When you make the two into one, when you make the inner like the outer and the outer like the inner, and the upper like the lower, when you make male and female into a single one, so that the male will not be male and the female will not be female, when you make eyes replacing an eye, a hand replacing a hand, a foot replacing a foot, and an image replacing an image, then you will enter the kingdom (The Gospel of Thomas, saying 22, in The Secret Teachings of Jesus, translated by Marvin W. Meyer, Vintage Books, New York, 1986, p. 24). “Quod est superius est sicut quod est inferius; et quod est inferius est sicut quod est superius, ad perpetranda miracula rei unius” (As above, so below. As below, so above. So that the miracle of One be accomplished). This quotation comes from the Tabula Smaragdina (Emerald Tablet), one of the most revered documents in Western occultism. This legendary phrase attributed to Hermes Trismegistus  is believed to represent the key to all mysteries. The message also defines the cardinal principle of astrology, shamanism and all ancient mystery schools. Briefly, it means that Heaven and Earth reflect each other, that whatever exists within and without, from the tiniest particle to the largest galaxy, embodies the replication of the same system. The basic assumption of astrology, shamanism and all major mystery traditions is that there is no separation: the inner and outer worlds are the reflection of the same whole of which we are all part. Although it is, both spiritually and scientifically, indisputable that the ultimate reality of the universe is the unity of all of its parts, most of mankind does not seem to be aware of this experience. Human beings continue to hold the belief that they exist as separate entities. The investment in this creed is so rooted and widespread as to manifest an articulated collective hallucination that reveals itself in every feature of human life. The structure of this hallucination I define as the ego. “What is the ego? Nothingness, but in a form that seems like something. In a world of form the ego cannot be denied for it alone seems real. Yet could God’s Son as He created him abide in form or in a world of form? Who asks you to define the ego and explain how it arose can be but he who thinks it real, and seeks by definition to ensure that its illusive nature is concealed behind the words that seem to make it so” (A Course in Miracles, Clarification of Terms, p. 81). In Tibetan the ego is called dak dzin, meaning “grasping to a self”, which refers to the false self of the ego and is not our true Identity or Self. The basic feature of the ego is its hallucinatory identification with the physical body perceived as a separate entity. This counterfeit identity reflects in the visible body meant as a collective and conventional conceptualisation of who I am. I have identified myself with the body and have lost the awareness of my original nature. As a result, I do my best to defend and preserve this separated notion I have mistaken for myself, regardless of my authentic essence. Indeed, this “I”, far from being a coherent idea, is a collection of buzzing and pugnacious provisional selves, each of which rules for a few minutes, putting out of sight my innermost nature. “This world you seem to live in is not home to you. A memory of home keeps haunting you, as if there were a place that called you to return, although you do not recognise the voice, nor what it is the voice reminds you of. Yet still you feel an alien here, from somewhere all unknown. Nothing so definite that you could say with certainty you are an exile here. Just a persistent feeling, sometimes not more than a tiny throb, at other times hardly remembered, actively dismissed, but surely to return to mind again.” (A Course in Miracles, W 339). In a distant and unidentified sphere of time and space, something happened that generated a shift from the awareness of unity to the illusion of separation. “Into eternity, where all is one, there crept a tiny, mad idea, at which the Son of God remembered not to laugh. In his forgetting did the thought become a serious idea, and possible of both accomplishment and real effects” (A Course in Miracles, Text, p. 586-587). This mad idea is that of thinking of living as separate entities, whereas its real effects are the ego and all the grievances that are perceived in the world. Yet the memory of my authentic nature has never abandoned me. Although concealed by thick clouds, my original Self has continued to whisper through the obscure corridors of the mind, employing all kinds of tools to remind me of my true matrix of unity. According to the Orphic tradition, in the beginning a cosmic egg, representing unity, split into two halves that became the model of all polarities. Following this separation, the immediate impulse that developed was the drive to reunite what was separated. As a result, Eros hatched from the egg and love was born. The perception of dualities, male and female, spirit and matter, good and evil is the by-product of the process of separation itself. Here human consciousness is the result of the adherence to a reality based on polarities. Astrology, in its purest and uncontaminated expression, had been originally conceived as a tool to remove the blocks to the perception of unity. It is an educational device aimed at exploring how the many arose from the One. Astrology considers the illusory situation in which mankind has relegated himself and operates so that the miracle of One be accomplished. In other words, as I have produced the world I see as real through the belief in separation and the identification with the ego, astrology starts from this distorted perception to gradually lead me beyond it. Astrology employs different symbols and categories that, whilst appearing separate, are part of one single unity: that of the zodiacal circle. In order to make itself understood to human beings, astrology uses a language which is familiar for them: the dualistic language of the ego. This situation has caused various misunderstandings and controversies in dealing with astrology also because its language has often been used as a camouflage in times of severe persecutions. 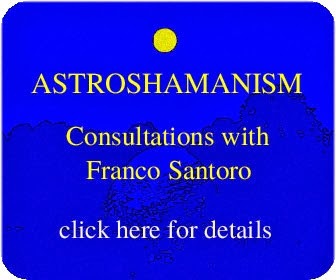 During the years of the great witch hunt and decimation of shamanic cultures in the western world, one of the few possibilities of survival left for shamanic healers was indeed to hide behind the language of astrology or alchemy, as these were widely practiced by the physicians of the time and were not regarded as heresies. This was the case also in much earlier times and in other cultural contexts. Since it was dangerous to practice shamanism, astrology developed as a covert alternative. Astrology was originally meant to map the access to alternative realities. It managed to survive for it detached itself from the direct experience of journeying and focused instead on the map itself interpreted in accordance with the prevalent beliefs of the environment. Whereas shamanism was about establishing relationships with other dimensions and spirits, the dominant spiritual attitude was that of depending upon a physical authority and a set of codified spiritual rules. This was one of the major causes of a clash with shamanism: the fact that it did not need the mediation of a physical religious authority. Astrology ended up being domesticated and employed to support the consensus reality of the prevalent culture. The religious and political establishments were tolerant and even supportive of astrology. Astrology was one of the main topics in all medieval universities, like that of my natal town Bologna, the oldest surviving university in the world. The practice of astrology was allowed and encouraged. However, there was an exoteric and an esoteric astrology. The latter was accessible only to a restricted minority. It was a clever disguise for shamanic healers. 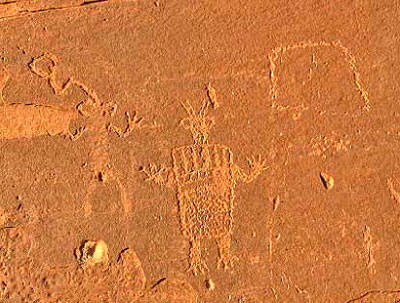 In order to safely continue their practices some shamans opted for the identification and camouflage provided by astrology. In this way they were able to continue their work without danger of punishment. Yet the disguise of this astrology continued for too long and caused further separation from the original shamanic connection even for those who were supposed to be aware of the disguise itself. Astrology is based on the identity of cause and effect or subject and object. Due to this equality, its interpretative structure has changed according to the prevalent culture and spirituality of each time. In the last centuries, the left hemisphere of the brain, analytical and verbal, has prevailed over the right side, intuitive and imaginative. Astrology, in common with other approaches, has become too abstract and theoretical, and has forgotten that the original relationship with the stars and planets was experiential and alive. Astrology includes the outer and inner universe: it is like a huge geographical map able to describe all kinds of realities. It represents, in the words of Jung, “the sum of all psychological knowledge of humanity”. This is extremely stimulating, but excessive attention to the map and its details caused us to lose sight of the reason for which the map itself had been created: i.e. effectively to go on a journey. The map is not the territory just as the menu is not the meal. The effect of this misunderstanding is that of separating the map from its pristine meaning. Consequently, its symbols petrify and assume a rigid solidity, a separate autonomous identity cut off from any connection with the essence that they originally described. As a result the astrological symbolism has become virtually incomprehensible for most contemporary men. Since the capacity of accessing what exists beyond the symbols has been lost, the maps have solidified. They are in a fixed state, while the actual territory is fluid and continues to change form. 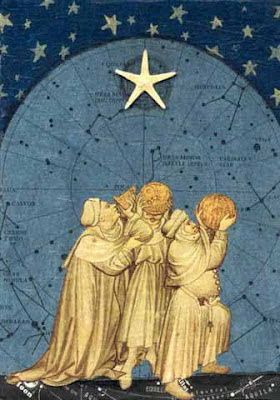 Astrology was once regarded as a most sacred and reputable science. It had nothing to do with casting horoscopes or the way this subject is currently approached by most media. Rather it was a mapping system and a precious symbolic tool for conveying information about the multi-dimensional conditions of specific situations and environments. The astrology to which I refer here is a shamanic and experiential astrology. As such it employs tools that translate the zodiacal symbols into direct experiences. The astrological chart is not interpreted or analysed, but reveals itself through emotions, movement, dance, sounds, visions and situations aimed at waking me up and connecting me with my true nature. 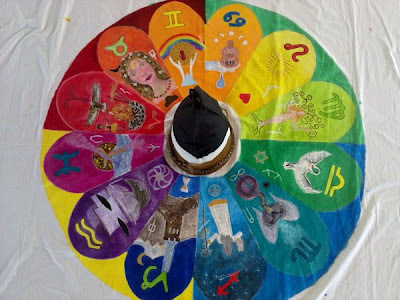 This astrology, which I call astroshamanism, represents the way back to the primeval origins of astrology meant as a shamanic tool of communication with the universal forces. Its aim is to relate with the roots of our authentic spiritual traditions and to integrate in the present times all the heritage of knowledge from which we have separated ourself. Hermes Trismegistus (Thrice-Great Hermes) is a mythic figure combining both the features of the Egyptian god Thoth and the Greek Hermes. 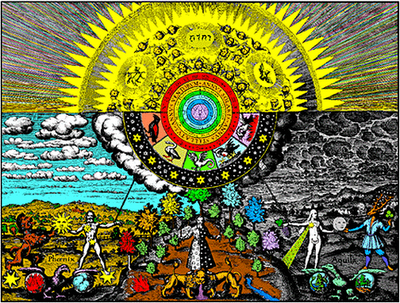 He is the tutelary archetype of Hermeticism and is supposed to be the developer of astrology and the mystery traditions based on the integration, interconnectedness and ultimate unity of all aspects of reality. The name Hermes appears to originate from the Greek herma or hermaion, a monument consisting of an upright stone surrounded by a heap of smaller stones, thus denoting the structure of the Sacred Circle. The term ego is Latin for I and is used in various contexts with different meanings. Here ego refers to the entire psyche or individual self based on the belief of being a separate identity as distinct from others in its body, emotions, mind and spirit. Sigmund Freud describes the ego as the centre of the personality operating in ordinary reality and one of the three basic areas of the mind, the other two being the id and the superego. According to Jung the ego is the conscious “I” affected by the social environment and distinguished from the Self, which represents the whole and central essence of our being. Establishing a conscious rapport with the Self (individuation) is the purpose of Jungian analytical psychology. The Gnostic term for ego is eidolon, “image”, from which the word “idea” comes from, and is regarded as the “parasitic psyche”, the idea of being the physical body, rather than the Consciousness which has produced the idea itself. The Mystery path of initiation involves realizing that I am not the ego and gradually retrieving the complete awareness of my authentic nature. A Course in Miracles is the title of a self-study spiritual system focused on the function of forgiveness. Its aim is to release the sense of separation which prevents a direct connection with God and remove the blocks to the awareness of love’s presence. The contexts in which quotations from A Course in Miracles appear in this Guide Book come from the understanding of the Editor and are not necessarily endorsed by the copyright holders of A Course in Miracles. From now on, please find A Course in Miracles often abbreviated as ACIM. Sogyal Rimpoche, The Tibetan Book of Living andDying, Rider, p. 117. Carl Gustav Jung, Studies on Alchemy. The modern revival of experiential astrology dates back to the 70s. In the psychotherapeutic field, the development of alternative approaches, like the Human Potential Movement, encouraged the use of new models aimed at activating individual hidden potentials and emphasising different perspectives of evaluation. Personal responsibility in particular, rather than the victim role or the identification of the patient as patient, assumed major importance. During the same period, the rediscovery of shamanism, the development of new spiritual movements and communities, the resurgence of the Hermetic traditions, the emergence of the New Age and the diffusion of eastern techniques of meditation contributed to boost the interest for transpersonal and non-ordinary states of consciousness. In this context the tendency to trace back causes of grievances to childhood, social environment or, more esoterically, to past lives or the positions of planets, became less relevant. For many advanced therapists and researchers it was not essential anymore to know the past events of a person, but rather to understand why certain harmful scripts or actions were repeated although there was the possibility of using different models. The transformation of such scripts and the development of inner potential became the aim of many operators. In order to support this process various tools were rediscovered and employed. Astrology was one of them. The aim is not interpreting the horoscope or forecasting the future. It is employing experiential techniques to activate a reawakening and transformation of the energies represented by the zodiacal signs.